New for 2019! 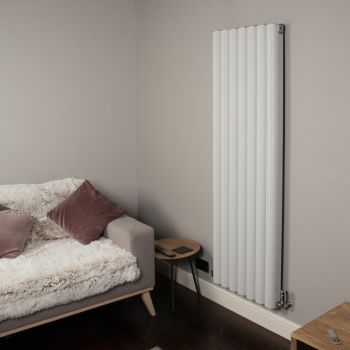 Our Venn Aluminium Designer Radiator Range is available in 5 colours has something for everyone. 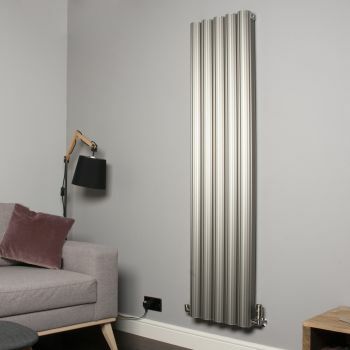 These Central heating radiators are available in both tall vertical and horizontal to suit the needs of your room or your own personal preference. 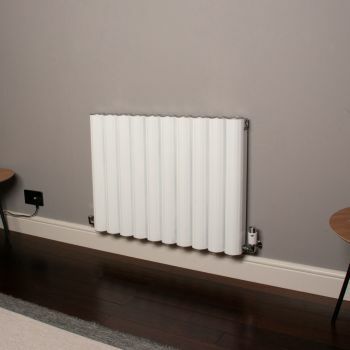 Venn is a modern twist on the classic column radiator design. Its unique design has quickly become a customer favourite. Made from aluminium, in a striated, chunky column design the Venn truly is something to be admired, sure to catch the attention of any visiting friends and family. 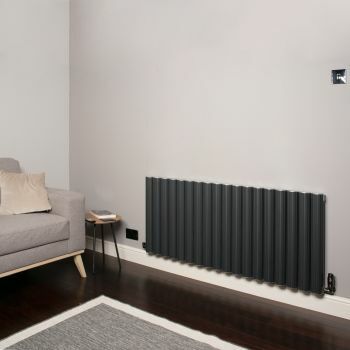 The Venn designer radiator is available in Light Grey and Anthracite, two of the most sought after and in trend colours in the designer radiator market in 2019. Stunning Champagne Gold for those looking for an elegant yet striking look and classic White and Black. The Venn boasts high heat outputs with its largest sizes offering up to 7877 BTUs. We have a Venn suitable for heating every room in the house. These high outputs can be attributed to the conductive Aluminium material, to learn more about Aluminium radiators visit our Go Aluminium Blog. Venn’s Tubular Columns are made perfectly aligned next to each other separated by a gap of just 3mm, around 70% closer together than mild steel alternatives. This close design gives the radiator a beautiful visual flow making the Venn very appealing on the eye! Available in 7 stocked sizes, 4 vertical and 3 horizontal these sizes have been carefully selected to suit UK homes with sizes suitable for all rooms in new and old houses. So, whether you are looking for your living room, kitchen, bedroom, hall or bathroom, there is a size, colour and orientation for you. Venn’s design includes vertical striations as seen in below picture. These striations add an extra element to the design, a further texture and a sense of real class. Finally, each of our Venn colours and sizes are under £499 delivered! At Geyser we pride ourselves on selling the highest quality at the cheapest price. Our products are built to last and without compromise. Shop the Geyser Venn Range now.